When I was unlawfully arrested at Southwark tube station in 2005, the first thing police officers said they found suspicious was that I was ‘avoiding them’. When I entered the station, instead of looking at them, I looked at the steps. It probably didn't help either that I had an eye infection that day. Since then, there has been many more stops and searches without the need for reasonable suspicion, and much further education. This should make it clear that avoiding eye contact does not mean being suspicious. Many people with autism find it difficult to make eye contact. In some cases it will be fleeting or may be avoided altogether. 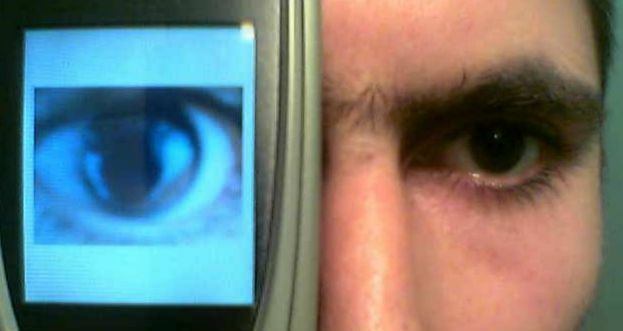 In others, eye contact may be prolonged or intrusive. This has led to cases such as a young man with autism who was served an Anti-Social Behaviour Order for staring over a neighbour’s fence. He didn't look at the police at the entrance to the station. The plod wasn't detailed about how much looking is required to allay their suspicion — the more the merrier, I guess. I recommend carrying a pair of binoculars on a tripod: there may be no police at your station, and you might have to sweep the area. Once you've found a policeman, stick an "I've Been Seen!" badge on their lapel.